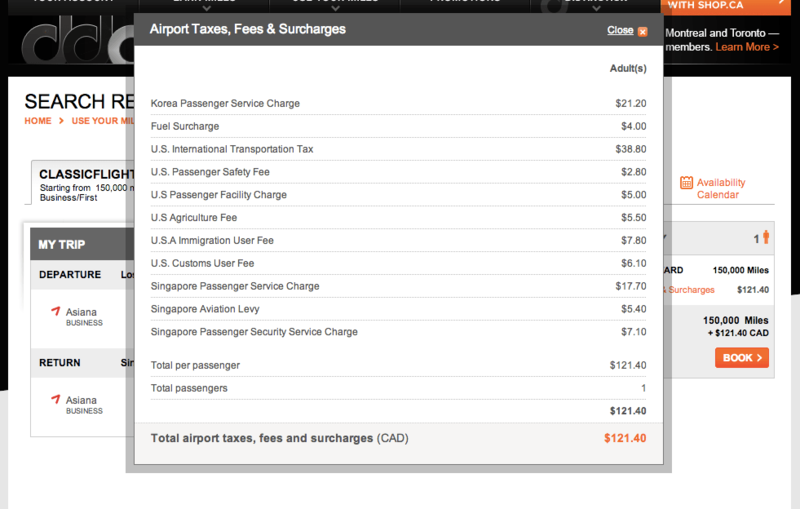 No Fuel Surcharges on Asiana with Aeroplan! Aeroplan levies fuel surcharges on some carriers when redeeming award tickets, which you can see in this list. Right now, it seems that online and via the phone center Aeroplan is glitching out when charging fuel surcharges on Asiana flights, making fuel surcharge only $1 per segment. If you don’t have Aeroplan at the moment, you can instantly transfer them from Membership Rewards (AMEX), in both the USA and Canada. 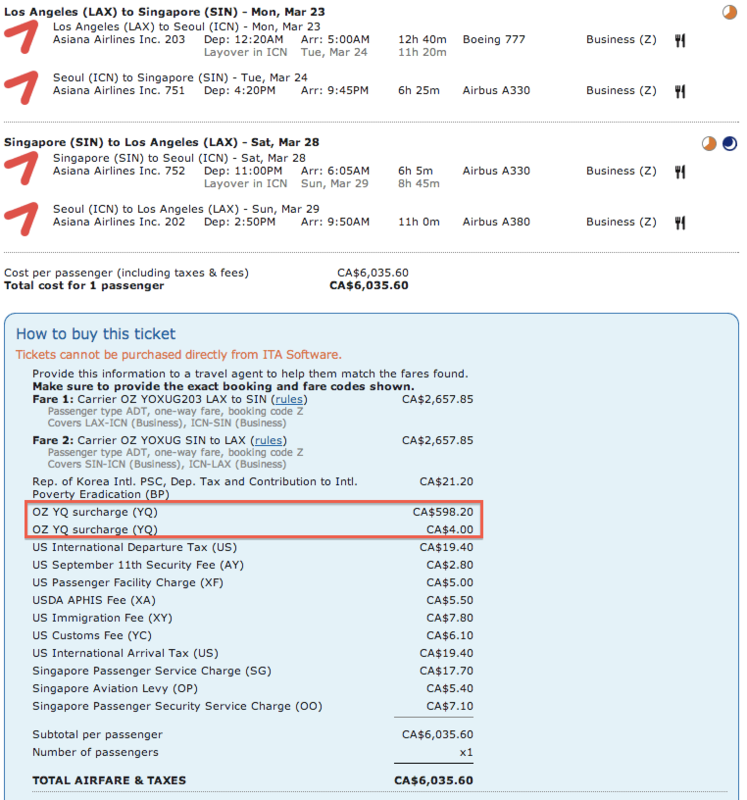 Generally, Asiana fuel surcharges are $400-500+ on a roundtrip, so it is a hefty savings. 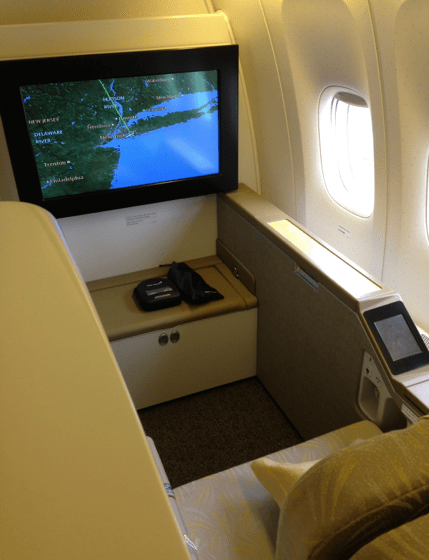 As Aeroplan levies the same fuel surcharge mostly as on a paid ticket, fuel surcharges on Asiana Business Class would normally run $600. 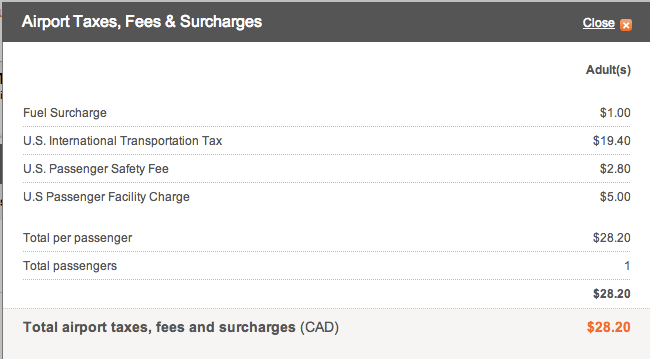 However, the same flights with Aeroplan is currently only $121 + 125,000 miles, with $4 in fuel surcharges. 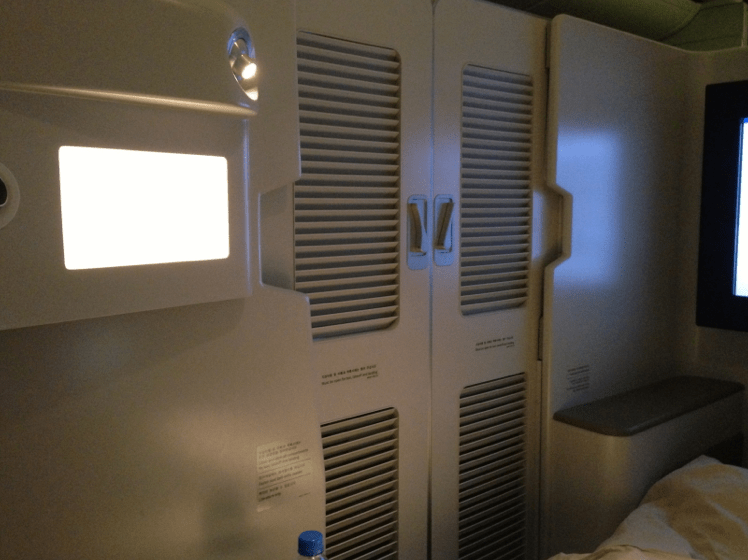 I quite liked my Asiana First Class Suites flight in December last year, and they have very good first and business class hard/soft products on their newer planes, including their A380, which I am set to fly soon. I’m not sure when this will last as I believe it will be fixed quickly, so if you have been eyeing a ticket with Aeroplan on Asiana, it may be a good time to ticket.